This is a very sweet and very sad video of 59-year old chimpanzee Mama reacting to the presence of her long-time friend and caretaker Jan van Hooff at the Royal Burgers Zoo in Arnhem, the Netherlands. Mama was the matriarch of the chimp colony there since it was established by van Hooff in 1972, so they'd known each other for 45 years at this time. Mama passed within the week. Keep going for the video, which also serves as a foolproof test to find out if you're a robot. Thanks to Allyson S, for helping me get excused from work for a personal health day. Darn it something just got into my eye! I'm the last thing from an activist, but seeing animals dying in cages (where they presumably lived their entire lives) makes me a new kind of sad. Me too. I really don't know why we need zoos anymore really. We don't "need" to see them because we possess technology where we can study them in the wild and webcams and still rehab them in more natural environments. But I guess you can't get donations to fund rehab if people can't come and visit. Not really sure how the zoo industry works, but at least with hunting and game ranches they live wild and free, game wardens keep them healthy and disease free and they are tagged and only culled when it's best for the herd to have them culled just like in the wild with natural predators and diseases that would have most-likely killed them anyway. 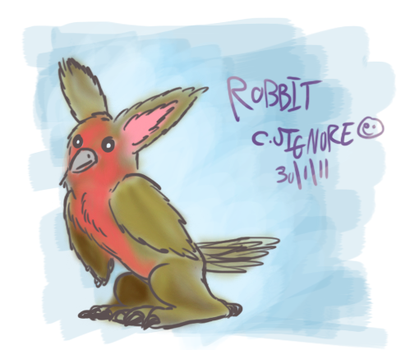 I am not a robbit. I love animals so much more than people. This video should replace the voight-kampff empathy test. I was leaking girlish screams from my noise hole but I think I'm ok now. Who else is gonna have nightmares about being invaded by chimp vampires? Animal love that just warms my icy cold heart. All that without a cool island song, or was it a hot island song. ...No, he has an icy heart. It's a cool island song.